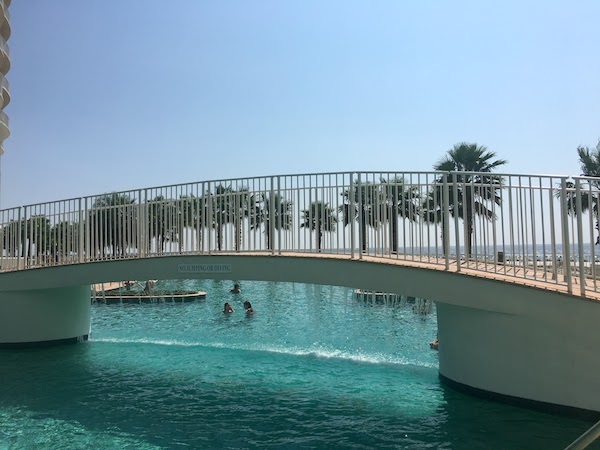 When I was invited to Orange Beach, Alabama to learn about the Leave Only Footprints eco-tourism initiative, I got the chance to stay at the Turquoise Place by Spectrum Resorts, one of the most luxurious Orange Beach, Alabama resorts. You know this kind of place — it’s a stunner that turns heads. And, if you’re like me, you might think it’s only for the really rich. No, baby. Sorry to disappoint, but we’re staying at a regular hotel (which was very nice, absolutely nothing to complain about there). NOTE: Post updated March 2019. Call this a promise kept! Ellie got to join me. How much does it cost to stay at these Orange Beach rentals? Turquoise Place, Orange Beach, AL was built with luxury in mind! Offering three, four and five bedroom Orange Beach condo rentals, with a minimum of 2300 square feet, there’s lots of space to spread out! 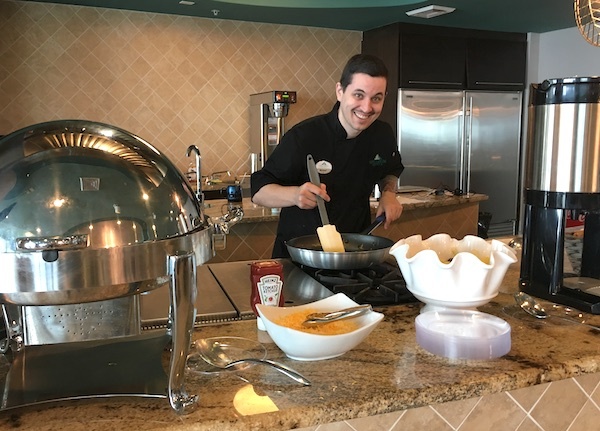 Each of these gorgeous condos in Orange Beach is well-appointed with high end appliances and features like Sub-Zero Refrigerators, Wolf ovens, wine coolers, ice machines, a grill and a hot tub. Talk about spoiled! As I entered my unit at Turquoise Place Orange Beach the first time, a wide, tiled hallway with a full wall of ocean views at the far end drew me in. It’s obvious that these condos on Perdido Beach Blvd. are perfectly placed to maximize stunning gulf views on Alabama’s beaches. The soft palette used in the living room furnishings, floors, kitchen and bathrooms throughout Turquoise Place gulf coast vacation rentals doesn’t try to compete with the views. The bathrooms come with plenty of towels, a blow dryer and a supply of travel size shampoo and soaps. 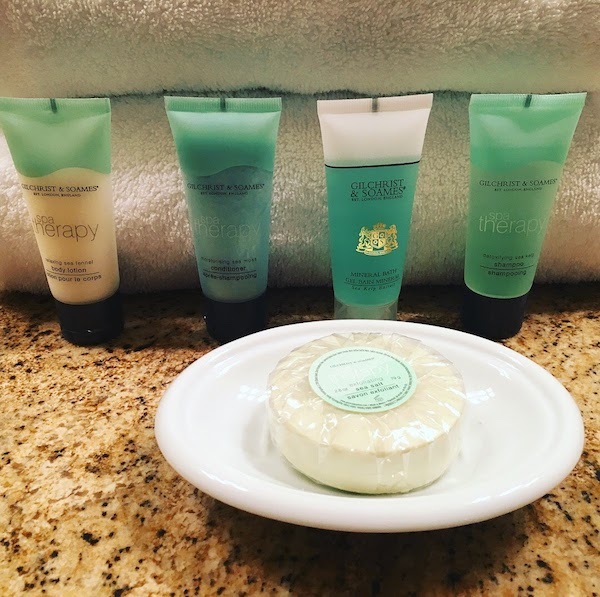 If staying for a week, you’ll want to bring your own soaps and shampoos, though. The master bathroom has a two person jacuzzi tub (that made Ellie quite jealous), and the other bedrooms come with ensuite bathrooms. The furniture is comfortable, especially the beds. I have never slept so well the first night of a “hotel” stay as I did here. A couple of afternoons, I had some downtime and found the living room furniture surprisingly comfortable — like a home, not at all like hotel furniture. Each of the Turquoise Place vacation rentals has its own wifi — and log-in instructions are provided at check-in. Each unit is also assigned one parking spot in the garage below these beachfront condos, and unmarked spots allow extra vehicles. Before we talk about all the other amazing amenities at Turquoise Place, check out Ellie’s video tour of the resort. 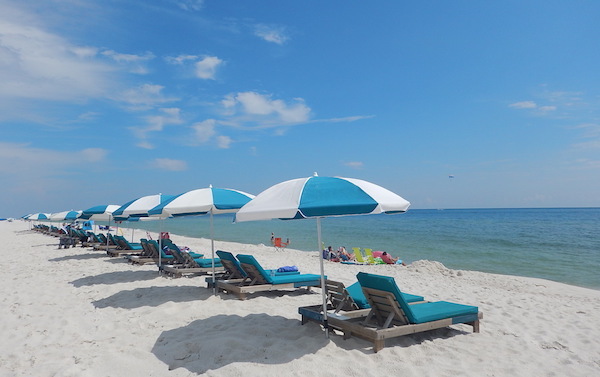 Turquoise Place Orange Beach rentals offer fabulous amenities to spoil the whole family. To be honest, the only thing I didn’t like was being there alone! 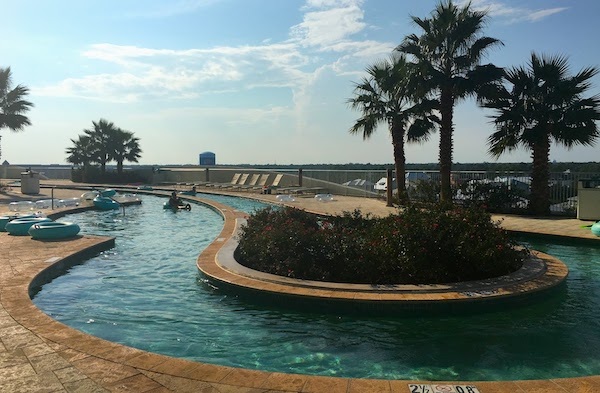 If you’re looking for Orange Beach condos with a lazy river, you’ll find theirs on the roof at level four! And planned activities each day (Schedule provided at check in and available online). Of course, there’s also the pristine beach (thanks to the Leave Only Footprints initiative)! Lounge chairs and umbrellas are available for rent. During my stay, I saw many multi-generational families enjoying the late summer days poolside. Some kids were excited to learn that these Orange Beach condos with lazy river have gulf front pools, too. One little girl was celebrating her seventh birthday with her parents, her brother and her grandparents (both sides). She said it was her best birthday ever! 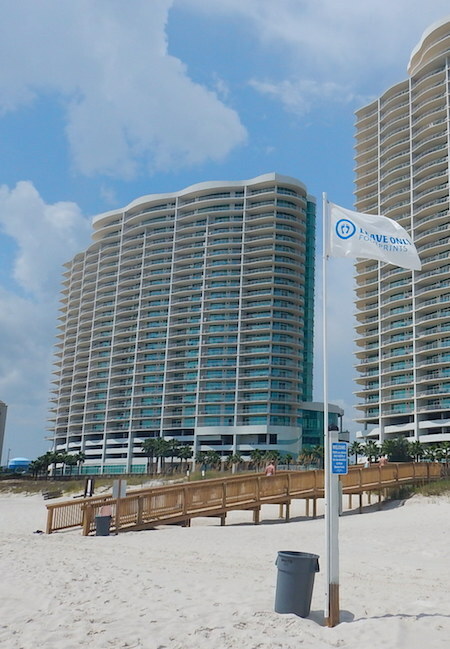 There are several Orange Beach rentals companies that list Orange Beach condos for private owners. 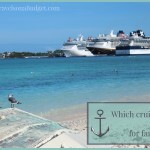 These companies are not affiliated with Turquoise Place by Spectrum Resorts, and cannot offer the benefits you get when you book Turquoise Place vacation rentals directly through the resort. Basically, book direct and get more perks! YAY! Midweek housekeeping with fresh towels (which means less laundry for you). 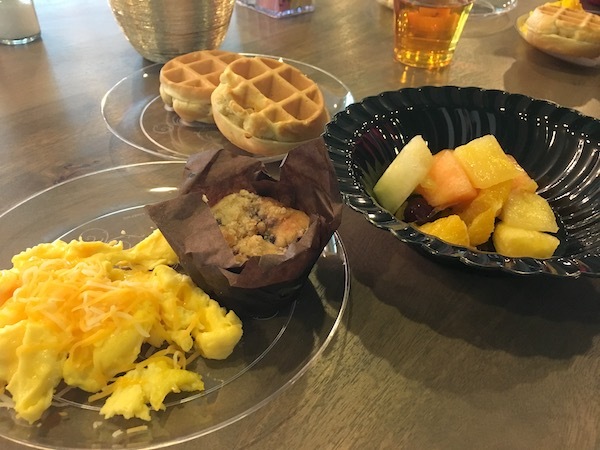 As a budget stretcher, the free breakfast alone adds incredible value to your vacation stay. 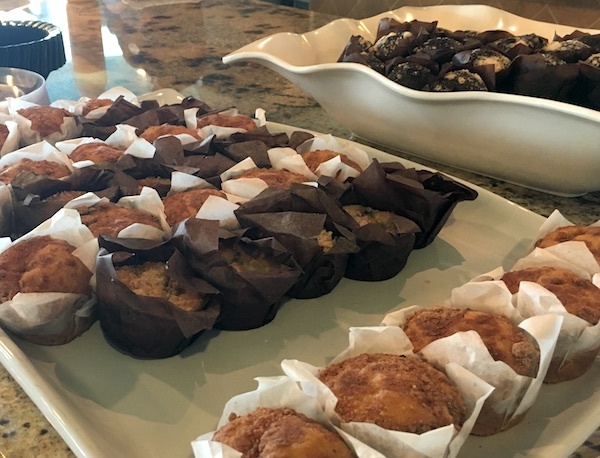 While Gulf Shores and Orange Beach have great breakfast restaurants, those meals add up. We always appreciate the free breakfast perk! The other perks add convenience and peace of mind, all which add intangible value to your Orange Beach vacation. 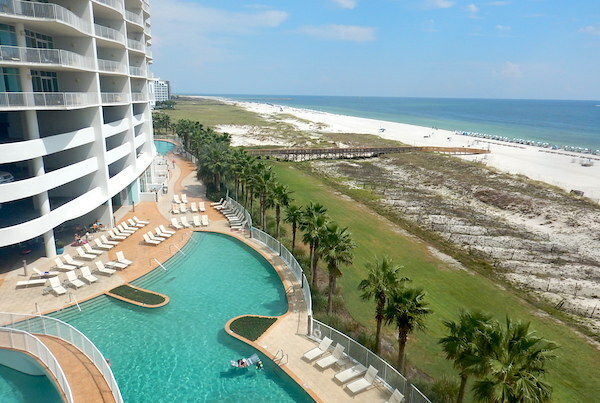 When considering condos in Orange Beach, all that luxury comes at a price, right? This isn’t the mid-level chain hotel of my childhood vacations. 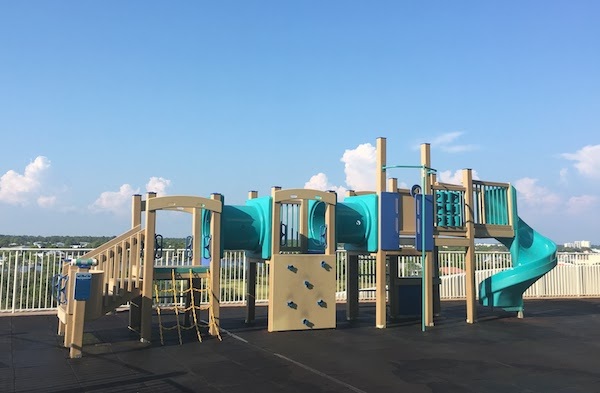 At the same time, Turquoise Place by Spectrum Resorts offer so much, amazing amenities and great centrally located condos on Perdido Beach Blvd, close to all there is. When I sent my husband photos of my 3-bedroom condo, I asked him to guess the cost per night. He guessed $650 — or a little over $200 per night per bedroom. He was wrong! It was “only” $400/night. Now, that might sound like a lot, but it sleeps eight. If two families share the unit, it costs a bit more than a hotel room but with all the comforts of home and then some. Grilling on a private balcony overlooking the Gulf of Mexico — sounds good to me! Let me rephrase that. Lounging in the hot tub on the private balcony while my husband grills sounds good to me! During high season (spring break through mid-August) prices are understandably higher, about $700/night for a 3-bedroom unit. I met a group from Lafayette, Louisiana during my stay. Eight women and one brave husband descended on the resort for a fun weekend at the beach. They came prepared with carts full of groceries, games and beach chairs. Splitting the cost of a condo nine ways made it affordable for all — and they had the added benefit of space to cook, relax and play. A “regular” hotel would have cost this crew close to $400/night if they got four rooms. And, they would have had to gather in the hotel lobby, hardly the same as gathering in your own living room or balcony. Another family — parents, their two adult children and spouses — were there doing the same thing. This family from the Birmingham and Atlanta areas shared the cost of a 3-bedroom unit to enjoy a family weekend getaway. They said it has become an annual event, worth every penny. The mom pulled me aside to say she hopes they have to expand to a four bedroom for the grandkids soon. Kids, if you’re reading this, that’s your hint! And I met a grandpa, Jim, who was sending video of his adorable granddaughter to his brother in Minneapolis. He said that their family’s annual vacation to Turquoise Place means the world to him, explaining that since his wife had died a couple years earlier, this family vacation is the best part of his year. If you are planning a family vacation or group getaway, the Orange Beach condos at Turquoise Place are a good choice. These spacious condos in Orange Beach with all the luxuries mean all you do is bring your stuff and relax! With so much space, you can eat in — and share meal prep among everyone. Or, get prepared meals from the grocery store and skip the cooking. The fridge is plenty large enough! 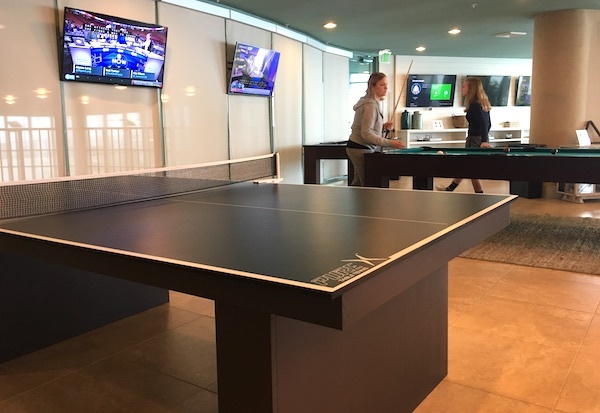 Enjoy all the amenities — free breakfast, the beach, the pools, the games and the lazy river. Go in shoulder season (September-November) when prices drop but the gulf waters are still warm. 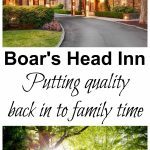 Check in Sunday and save even more by visiting weekdays. 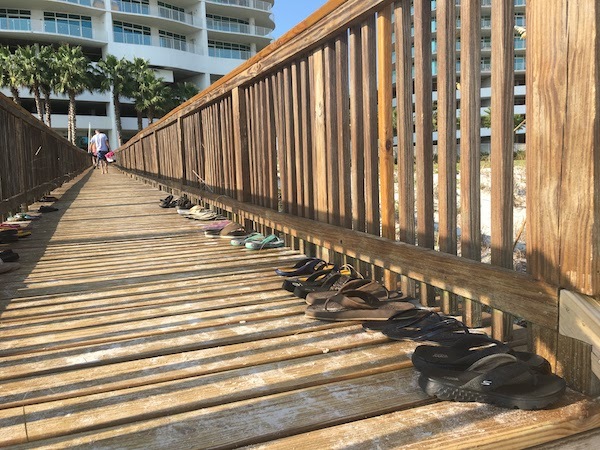 Like I said, Turquoise Place, Orange Beach, AL hosted my stay so I could learn about the Leave Only Footprints initiative — of which they are a proud participant. 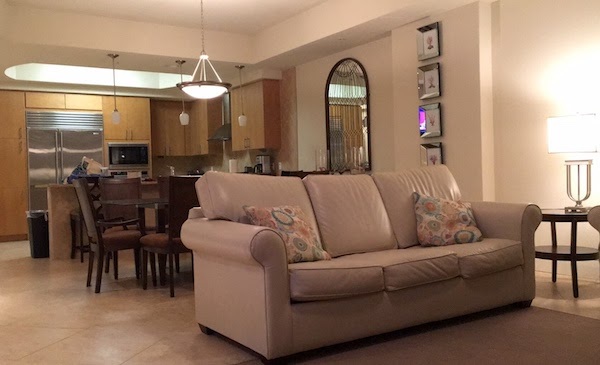 I am glad I got the chance to experience their Orange Beach vacation rentals. 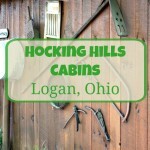 I plan to go back — with my husband and kids next time! Sometimes, splurging on accommodations makes sense — as the many people I met seemed to understand. 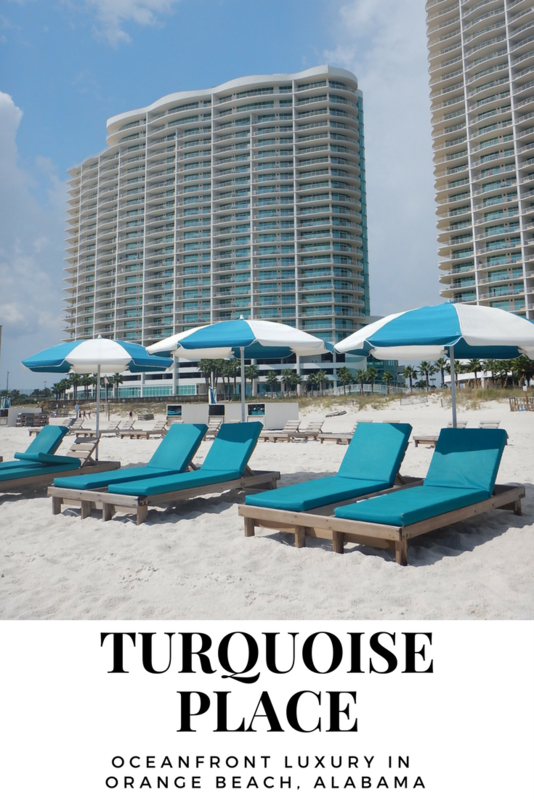 Turquoise Place is a great resort – 1st-class property with 1st-class amenities overlooking the beautiful Gulf of Mexico. Wow, what a beautiful resort and stunning beach! And that’s actually a great rate for a beachfront condo that sleeps 8. Thanks for sharing! I live close to the NC and SC beaches, and I’ve never stayed in a condo so large for that price. Orange Beach is generally less crowded than the Myrtle Beach area, as well, so it is a great value for those looking for a large place to rent. It’s one of my all-time favorites! Between the pools and that wide stretch of white sand, my kids would be in heaven!! What a gorgeous place. It really is. The whole Alabama coast is amazing — so much to see and do. It’s a really friendly place to visit. One of my all-time favorites!